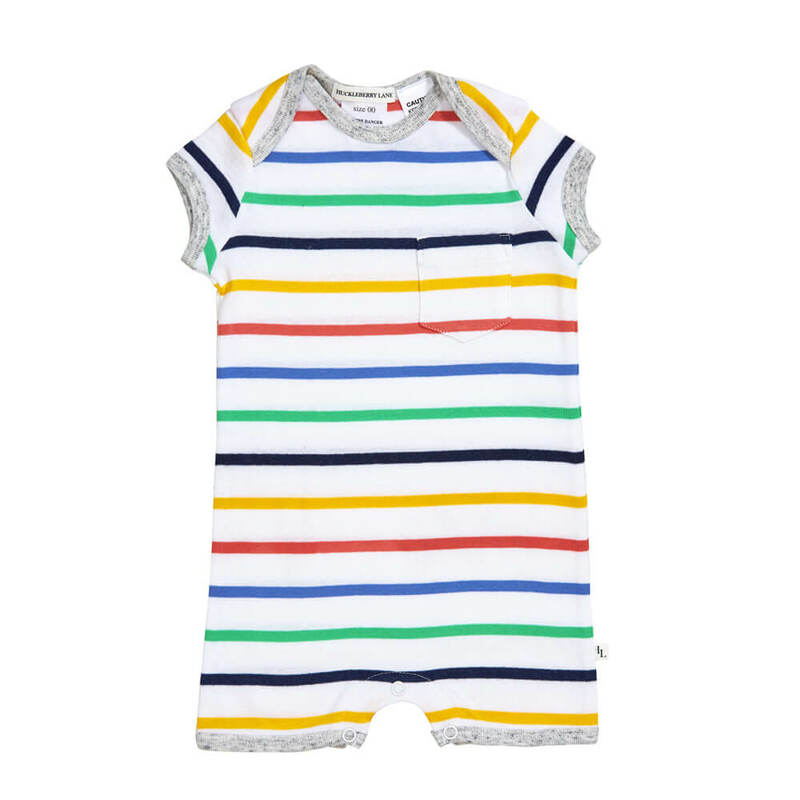 Multi Striped romper with Grey Marle trim. Pocket detail on front. 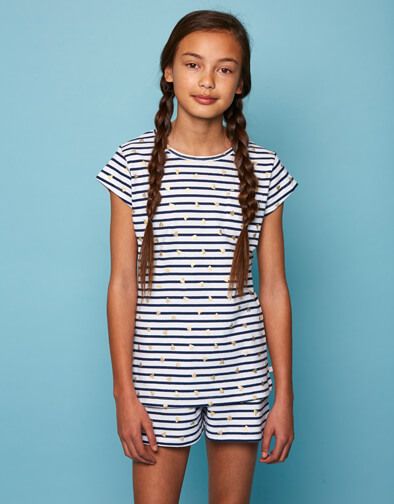 100 % soft cotton romper with exellent fabric retention. Envelope style neck and press studs on leg opening for easy dressing. Perfect for a good nights sleep or even as a comfortable outfit to wear during the day. Perfect newborn baby gift.